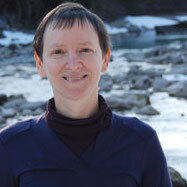 Amanda has worked as a PA-C since 2002 in Juneau and has lived in Juneau for 25 years. Amanda worked as a health educator before becoming a physician assistant and enjoys working with students in achieving optimal health. For office hours and how to schedule an appointment, please visit the health services website.